QUEENSLAND Fisheries has been ramping up patrols in the net free zone off Cape Hillsborough after reports of almost daily mature turtle deaths around Seaforth. A Seaforth resident, who did not want to be named, said he reported the discovery of the dead turtles to Fisheries Queensland. "There was one dead one (Wednesday) and I found three or four last week," he said. "There were three in one day." The resident said he went to the area around nearby Rabbit Island about four times a week, and has never seen so many dead mature turtles. Queensland Fisheries confirmed it has been patrolling the net free zone since Tuesday. After reports of the dead turtles the patrol has focused on the waters off Seaforth. A Fisheries Queensland spokesperson said the initial patrols were part of routine patrols in the region. 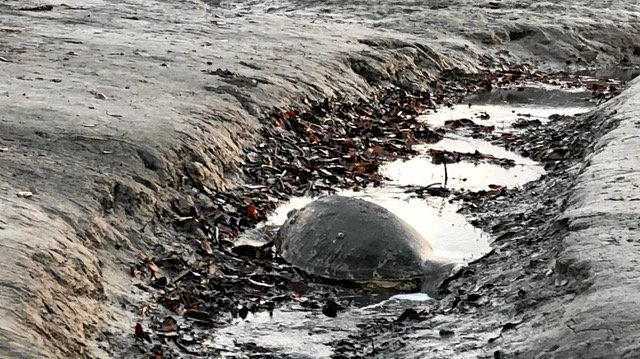 "After receiving a report about a dead turtle, the overnight patrol on Wednesday was tasked to focus on the area around Seaforth," the spokesperson said. "Fisheries officers have not detected any dead turtles." A Department of Environment and Science spokesperson said it was unaware of an increase in turtle deaths. "DES received a report from the member of the public of two dead turtles at Rabbit Island on March 13," the spokesperson said. The species was not known.